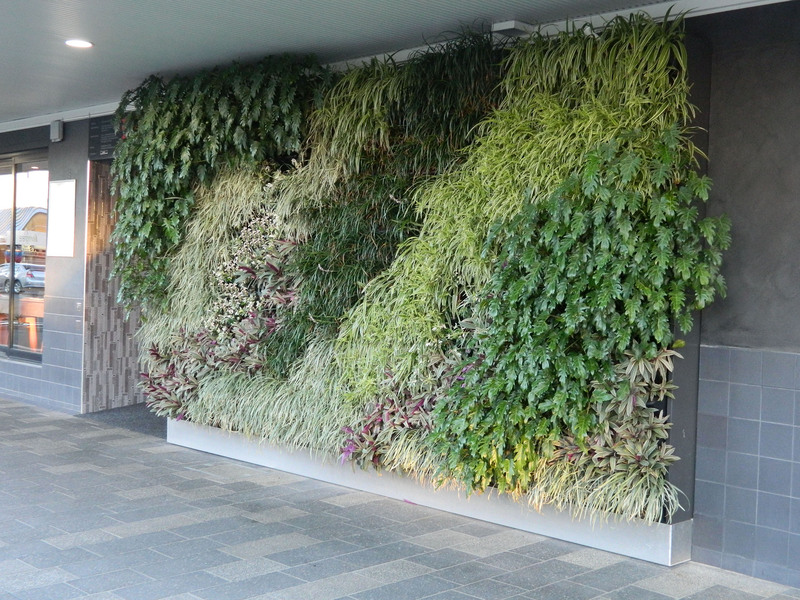 Australian Hotel Gets Green Wall. 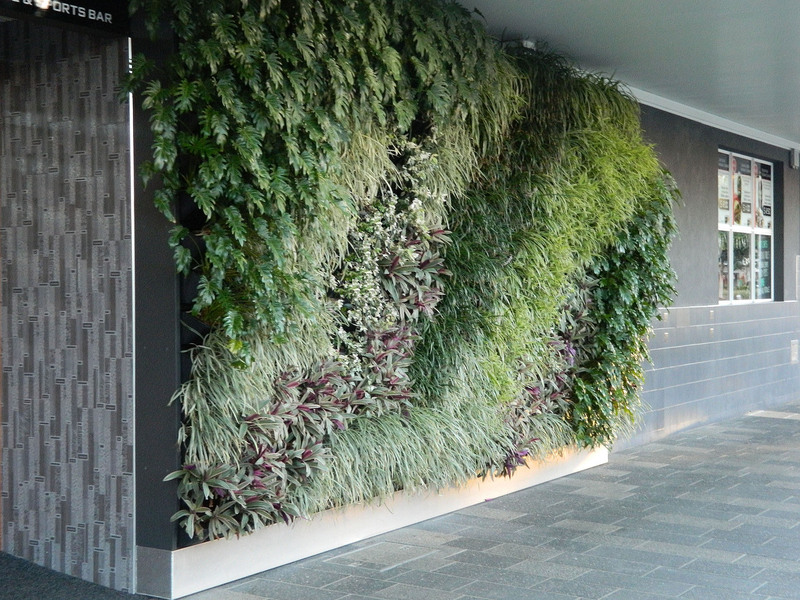 A new “green wall” has been installed on the Street frontage of the Australian Hotel building in the Mackay City Centre. 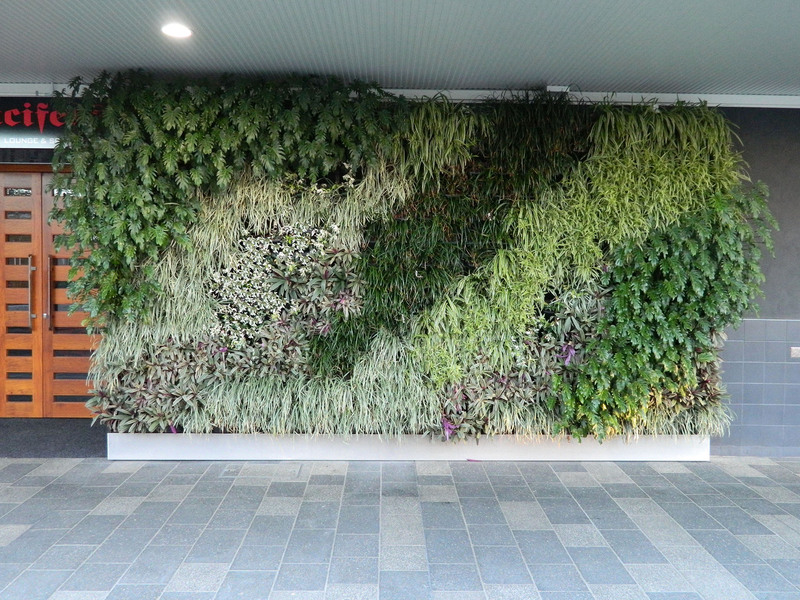 The five-metre by two-and-a-half metre green wall, a first for Mackay, is part of the finishing touches of the City Centre revitalisation project. 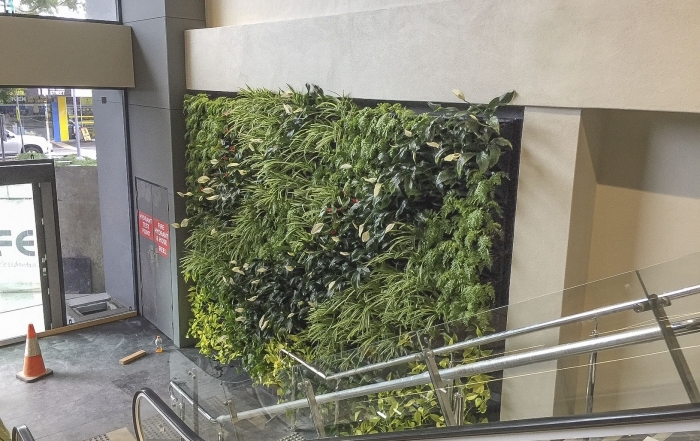 At the launch of the green wall, Mayor Greg Williamson said “Works done on this historic building under Councils’s façade improvement scheme have revitalized the look of our City Centre. 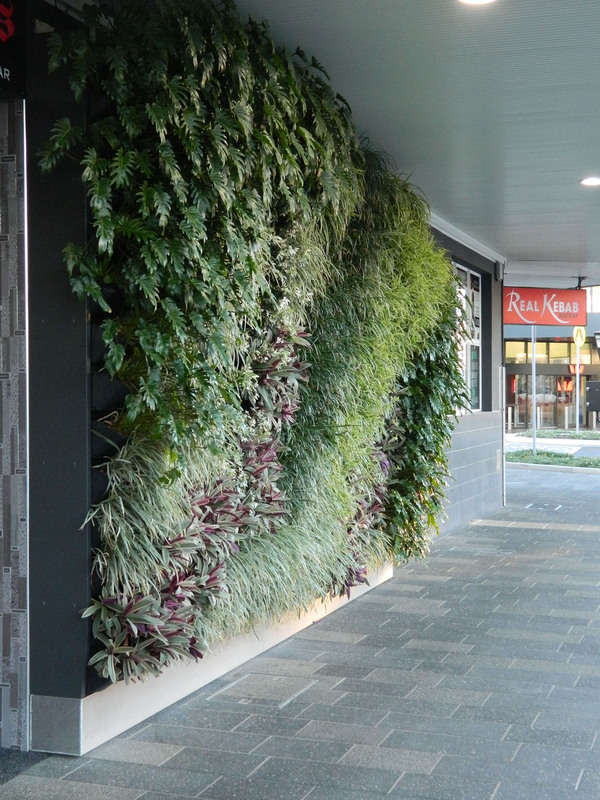 Mackay revitalisation provides obvious beauty and community benefit in the streetscape. People are more comfortable, happy and secure in a green city. Less obvious is the storm water management, biodiversity improvement and reduction in the urban heat island effect. Works were funded 50/50 by Mackay Council and the Australian Government. 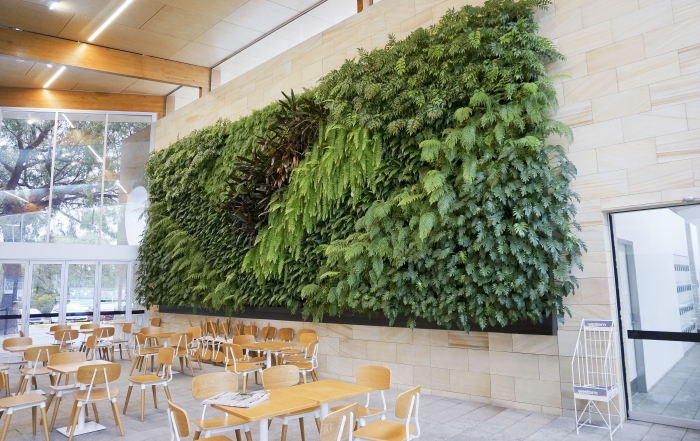 Atlantis Aurora were contracted to supply and install their Gro-wall 4® technology. 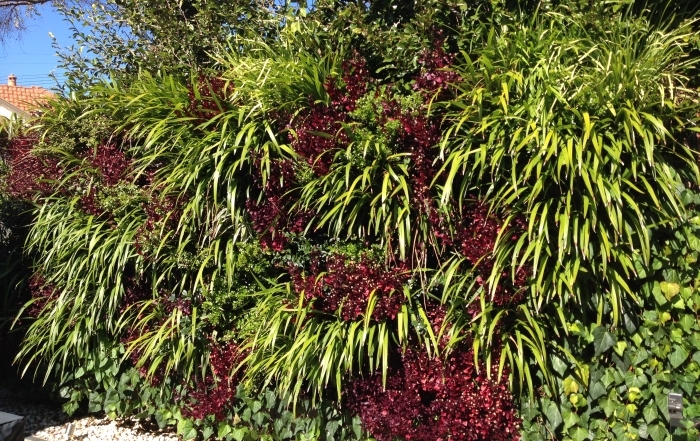 Gro-Wall is particularly well suited to the hot climate in Mackay with each plant receiving perfect growing conditions. 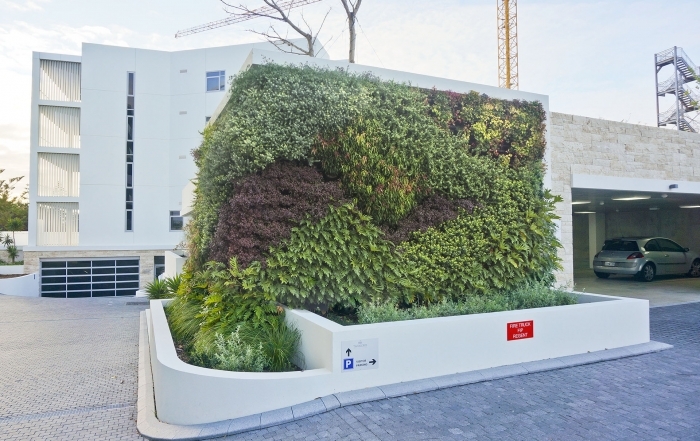 Atlantis Aurora Project Manager, Robert Griffith selected suitable tropical plants, designed the growing media and integrated the irrigation with the city services. Local historian Bernice Wright said “The attention to detail is of the highest order, indicating they clearly care about celebrating the city’s rich past”. Atlantis Aurora is proud to have assisted Mackay City Council with this project. The hotel owner Mr Glanville said “We are delighted with the results from all of the local tradesmen who worked on it for us, and we hope our tenants can enjoy the benefits of it as well as get a business boost from the refurbishment.” Atlantis Aurora sustainability initiatives ensure local materials and service providers are utilized at every step of our installations. This helps the local economy whilst maximizing environmental benefits of our installations.